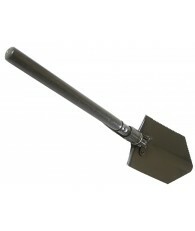 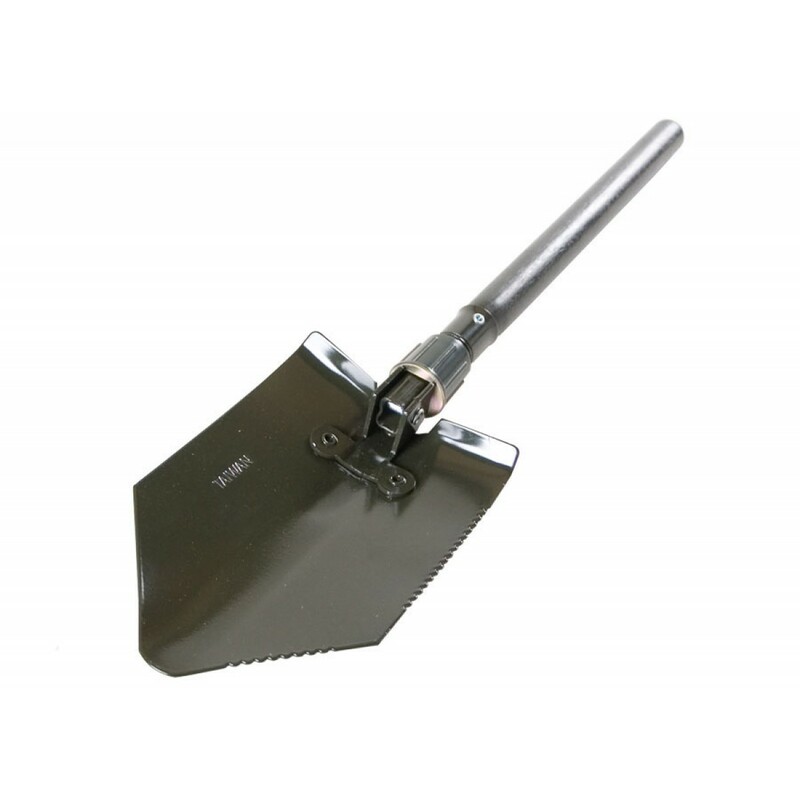 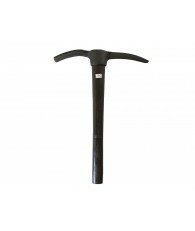 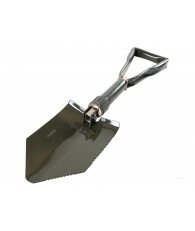 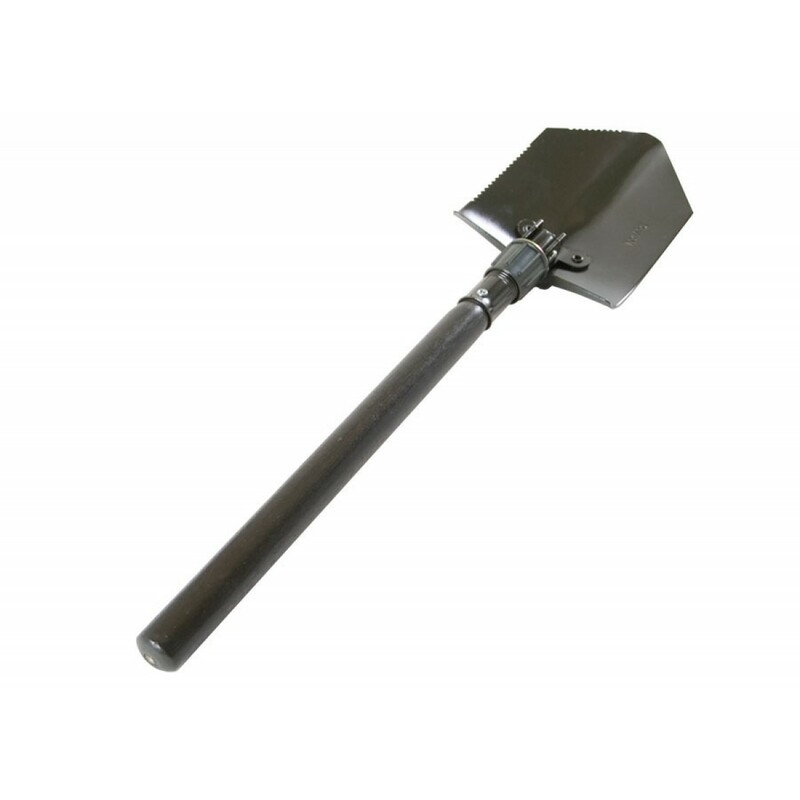 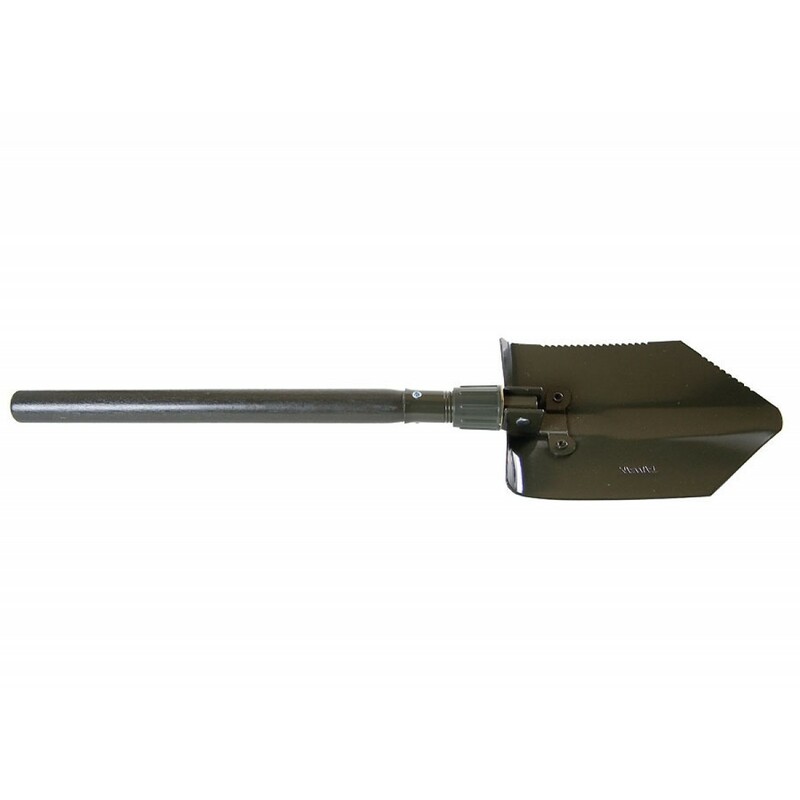 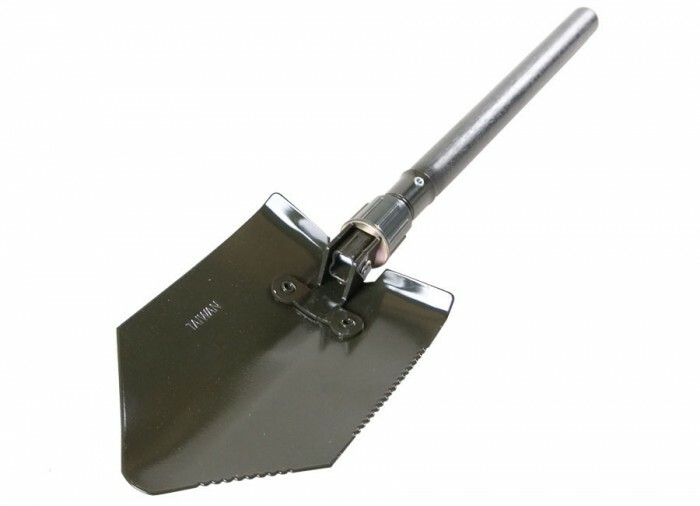 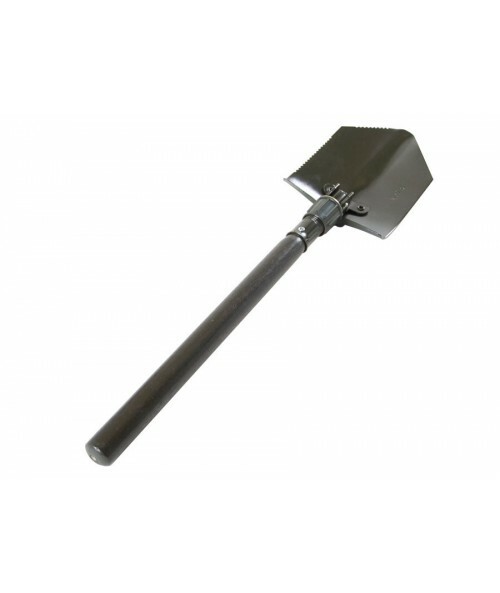 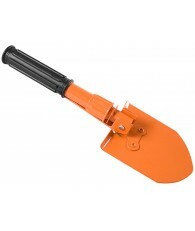 This handy folding shovel is perfect to dig in grass, sand, clay and even rock. 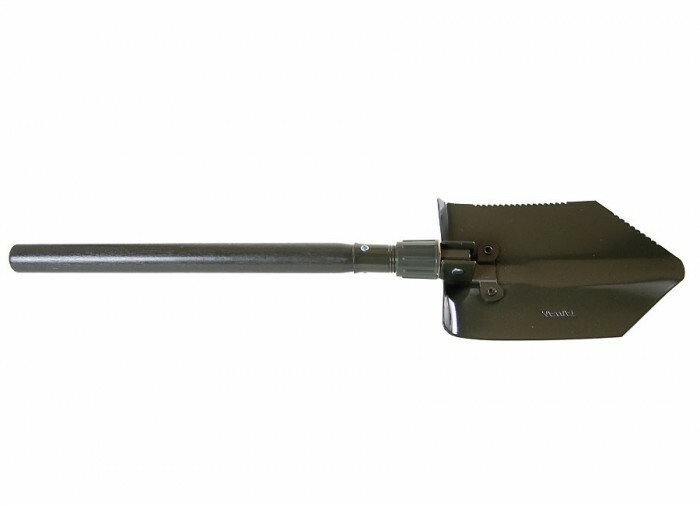 Has knurled lock ring. 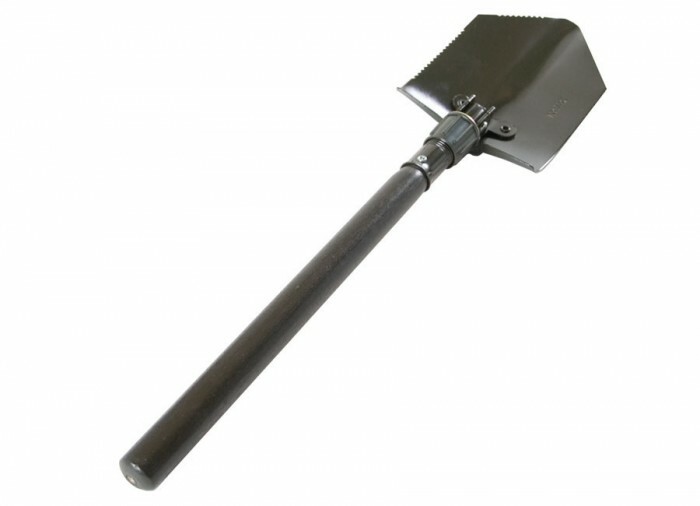 18" handle and 25" overall.